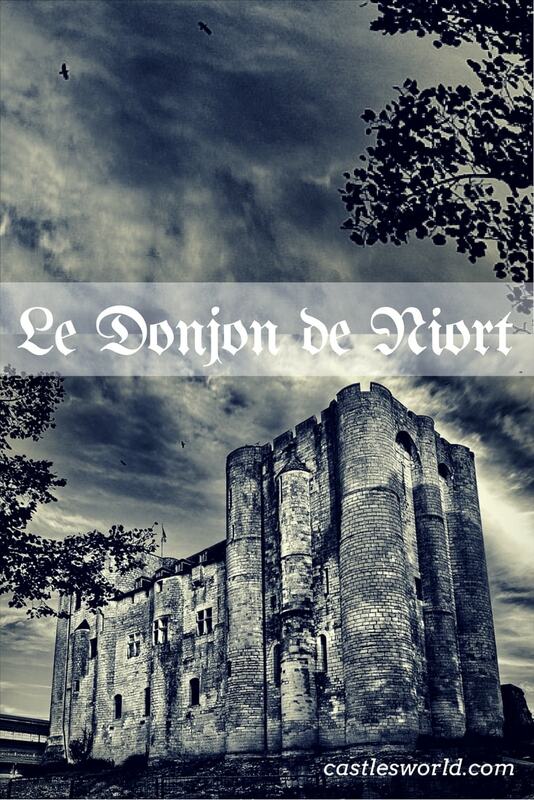 The Castle of Niort, or the Donjon de Niort, is a medieval castle consisting of two square towers; it is located in the center of the town of Niort, dominating the Sevre Niortaise river. The castle was started by Henry II Plantagenet in the 12th century and it was completed by his son Richard the Lionheart. Following his marriage to Eleanor of Aquitaine, Henri II, who also became King of England, took control of most of western France. He needed a strategic base from which he could maintain connections with England and defend his French possessions. He chose a site on the banks of the Sevre River where an earlier fortification (probably dating back to Roman times) was still visible. The castle designed by Henri II covered a vast area, with the two present keeps as the central point of the massive fortress. The southern keep is slightly higher; each of the towers was reinforced with turrets and had a spiral staircase serving the upper floors. The interior showed no excessive decoration as the castle was mainly designed for a military purpose. 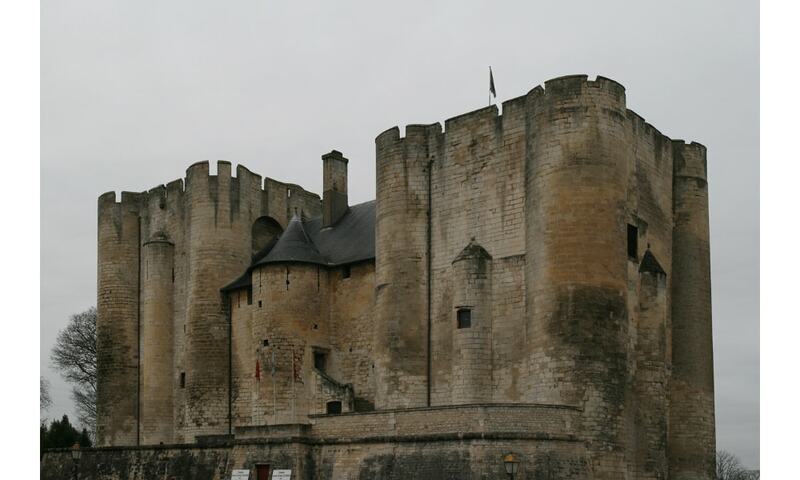 After the Hundred Years War, some improvements were carried out: the windows were enlarged to give more light, the residential part was renovated and fireplaces were installed in the grand hall. In the 15th century, the area between the two towers was closed by a new building that survived to the present day. The castle was damaged during the Wars of Religion and much of its original structure was lost after the French Revolution. Today, only the two towers and the 15th-century roofed building remained. The castle houses several museums, including an archeological museum on the ground floor. Visitors can climb to the roof where they can enjoy beautiful views over the town and the nearby river.